A comprehensive map history of the Jewish people from Biblical times to the Twenty-first Century. 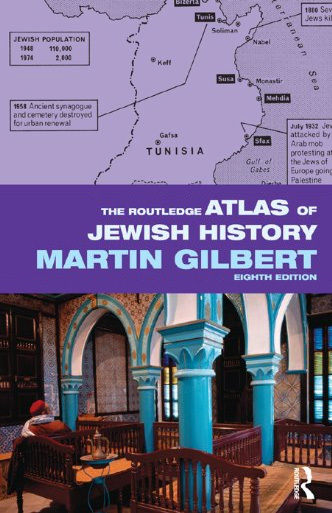 Spanning more than four thousand years of history, this historical atlas presents a vivid picture of a fascinating people, and the trials and tribulations that have haunted the Jewish story, as well as Jewish achievements, in 157 specially-drawn graphic maps. The themes covered include prejudice and violence, migrations and movements, society, trade, culture, politics, population and philanthropy. "I was trained as a theatrical costume designer and have only begun formal research in the past few years as a result of a finding I made while investigating material for a production. In brief, my research is on the use and depiction of yellow in Jewish dress as an identifier. My research contradicts common thought that it was first considered a negative color "the color of Judas' robes" and, as a result, then imposed on Jews. However I have quite a bit of evidence to support that it stems back, instead, to the Jewish saffron trade that goes back to antiquity. Sir Martin's book has been a wonderful find because, like my research, his maps span millennia and continents. So it is providing me with an wonderful, easily navigate-able visual reference to help locate where Jewish communities were located throughout history".